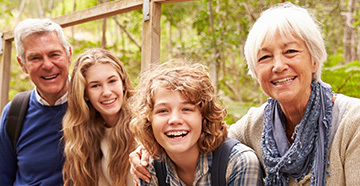 Hearing loss affects people of all ages, and can be caused by a wide variety of factors. It is categorized by which part of the auditory system has been damaged, and is divided into three basic types: conductive, sensorineural and mixed. Conductive hearing loss is the result of a problem in the outer or middle ear. It can be caused by a variety of factors including fluid in the middle ear, ear infection, allergies, impacted earwax, foreign objects in the ear, poor Eustachian tube function, malformations of the outer or middle ear, swimmer’s ear, otosclerosis (abnormal bone growth in the middle ear) and benign tumors. Conductive hearing loss is usually mild to moderate in degree, and can often be treated with medication or surgery. Sensorineural hearing loss occurs when the hair cells in the cochlea of the inner ear have been damaged, and is often referred to as “nerve deafness.” It is the most common type of hearing loss, responsible for about 90 percent of cases. Aging and noise exposure are the most common causes, but many other factors can contribute. These include viral infections, injury or trauma, hereditary factors, medications that are toxic to the ear, autoimmune disorders, illnesses such as Meniere’s disease, malformations of the inner ear and benign tumors. Sensorineural hearing loss is usually permanent, but can often be treated with hearing aids. When hearing loss is severe or profound, cochlear implants may help. Mixed hearing loss is a combination of conductive and sensorineural hearing losses and involves problems with both the inner and middle or outer ear. 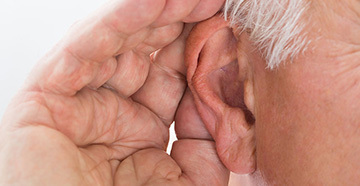 Depending on the extent and degree of hearing loss, treatment options might include medication, surgery or hearing aids.